Nottinghamshire’s bid for a fifth successive LV=County Championship victory began in frustration as the opening day of their match against Warwickshire at Edgbaston was washed out. There was never a chance of play as overnight rain left the outfield too wet in the morning and then further drizzle throughout the day kept the players off. 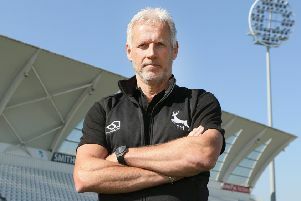 It leaves Nottinghamshire with just three days to press for what would be their fifth successive championship victory - the first time they have achieved that sequence since they won the last game of the 2009 campaign and the first four of 2010. When the match belatedly gets underway they will welcome back Alex Hales and James Taylor from England ODI duty. Warwickshire do not have Ian Bell, however, who has been released by the ECB only for the final match of the season against Somerset at Taunton next week, while the Bears’ other England player, Chris Woakes, has a quod injury.